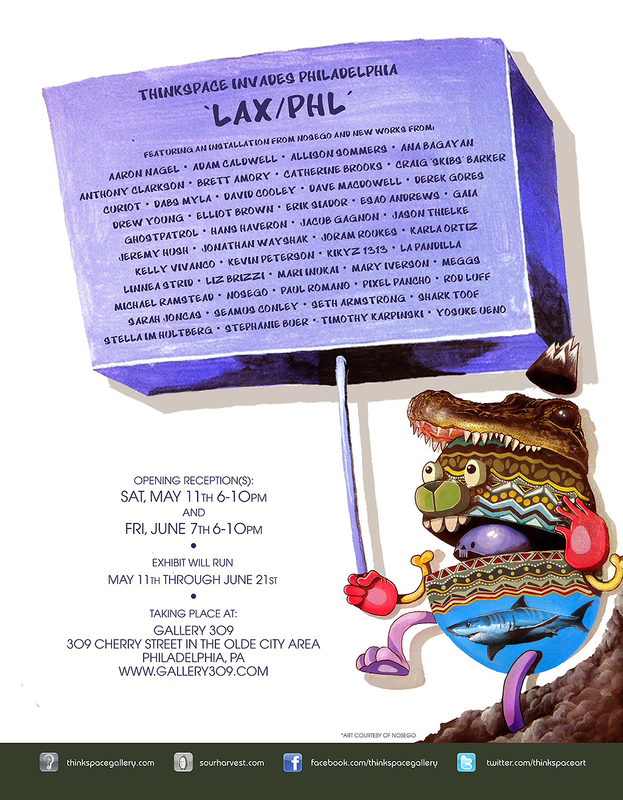 Los Angeles based gallery Thinkspace has teamed up with Gallery 309 in Philadelphia, PA to present ‘LAX / PHL’. This special group exhibition has been curated by Thinkspace to further introduce our roster to the City of Brotherly Love. 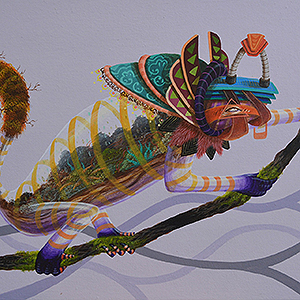 Featuring new works from over 40 artists from around the world and an installation from Philly’s very own NoseGo, the exhibition will run from May 11th through June 21st with opening receptions scheduled for Saturday, May 11th (6-10PM) and Friday, June 21st (6-10PM). With this special exhibit we aim to shed light on the burgeoning New Contemporary Art Movement that was birthed in Los Angeles and continues to spread out the world over, gaining momentum and winning over new devotees at an astounding rate. With roots firmly planted in illustration, pop culture imagery, comics, street art and graffiti, put quite simply the New Contemporary Art Movement is art for the people. Come discover your new favorite artist and find out why Thinkspace is regarded as one of the torch bearers of the New Contemporary Art Movement.